Pest description and damage The western tent caterpillar attacks a wide variety of plants including hawthorn, alder, apple, ash, birch, cherry, cottonwood, and willow, as well as fruit trees and roses. 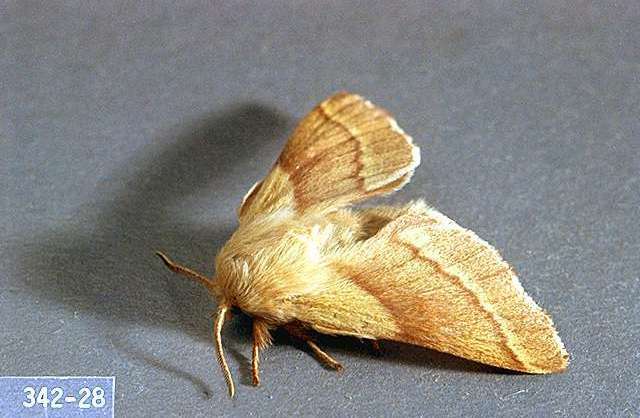 The adult moths are stout, light to darker brown, and are active in early- to mid-summer. Adults are attracted to lights at night. 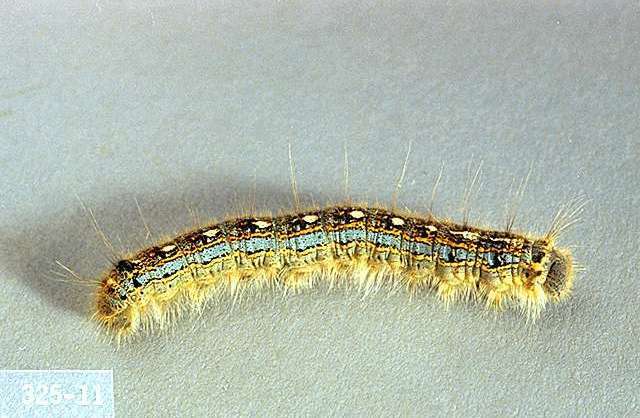 Western tent caterpillars are hairy, dull yellow-brown, with rows of blue and orange spots on the body. Forest tent caterpillars are black and blue with dorsal white footprints. Eggs of these moths are laid on twigs or buildings in masses and may be especially numerous around lights. The eggs are brown to gray in color, about 0.0625 inch long, and look like bits of gray, hardened foam. The larvae feed in large groups on foliage of host plants and can do significant damage by defoliation. Larvae of western tent caterpillars build moderate silken tents over leaves, but leave the tent to feed in new areas. They usually return in the evening. Both species can defoliate small trees which may weaken or kill them; defoliation can reduce growth and make the trees more susceptible to competition, diseases or poor weather. Healthy trees usually will grow new leaves by midsummer.